Today marks the shortest day of the year, where the sun, our source of warmth and light, is furthest from us. Living in a city, in the modern world, with electricity and lights and all kinds of noises blocking out the silence, it's easy to forget that we still live in bodies that have cycles, on a planet that has cycles. Years ago, before all of that stuff existed, as the nights grew longer, and the cold grew deeper, imagine what a blessing that marker would have been: a turning point! The beginning of winter!! I imagine how, even though the coldest months are still to come, that little bit of light that's growing in the sky is not just a marker of the passing of time but a beacon urging us forward when the darkness and cold might cause us to despair. Winter is a time for nourishment. For relaxing and sleeping and taking care of yourself. For walks in the cold with a hot drink in our hands and for the smells of things baking to fill our houses. Winter is time to get back to our roots. Literally. 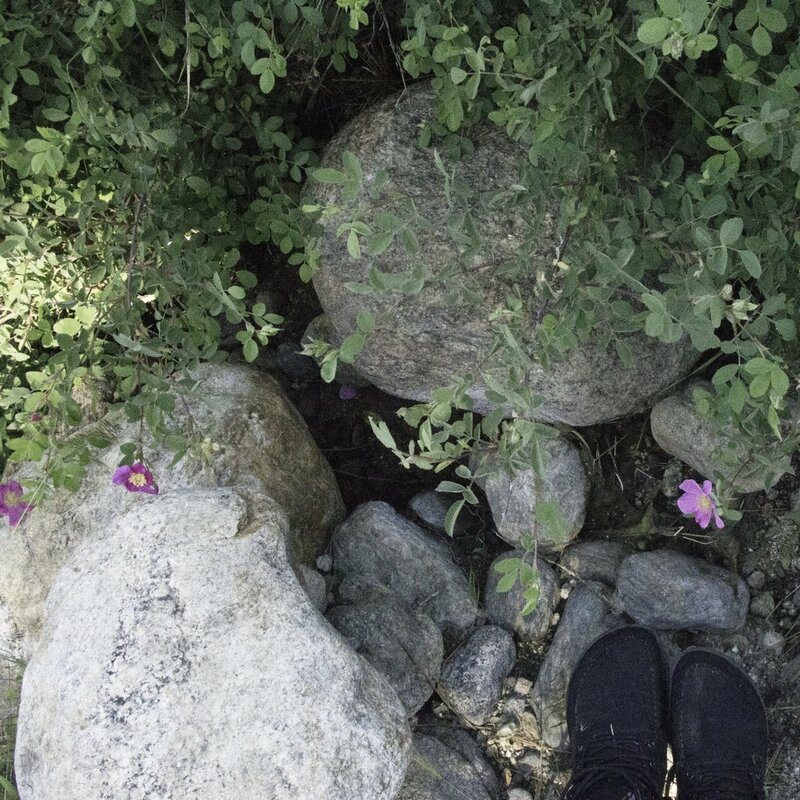 To feel our feet on the earth and follow them underground and maybe even curl up for a nap, right there, wherever we are. This morning I went for a walk before dawn. The poplar trees across the street are shedding their leaves- every minute one does its little death dance, falling to the concrete. I pressed my face against their bark, and inhaled a deep breath, and felt like I was being pulled into the earth by their roots, and the falling of leaves. It was intensely nourishing, like my body was drinking in the earth, and by the time I was ready to leave, the sun had emerged, casting orange light over the world around me. I wandered back inside and made myself a coffee, then leafed through cook books for a while, trying to decide what to make today. Which brings me to fir. Kiva had sent me some of her white fir needles, and I had a bunch of Douglas fir branches sitting around being lovely and delicious, and I was desperate to bake something with the two combined. Since today is the most dense day of the year, and marks the first day of winter, I figured something dense and coniferous tasting would be perfect. A sweet stodgy elf bread that one could wrap up and take on a long hike if needed. I'm happy to say that it turned out just as I'd hoped. Dense, not too sweet, with a coniferous flavour that isn't entirely overpowering, but is most definitely pronounced. Where can you get your own fir needles? Look around you. Check on the internet to see what grows in your area. If you don't have white and Douglas fir, try spruce (also delicious!) or pine. Taste the needles: each tree has a different flavour, and this flavour varies throughout the year too. Not only that, but if you gather extra, you can grind them up to make tea, which is one of my favourite things to sip on all winter. It's really high in vitamin C, as bright and beautiful as (and even better tasting than) green tea, and each citrusy sip connects you to a forest out there. With each sip, you're drinking in the nourishment that you get from resting your weary bones against a tree for a while, or curling up against a big gnarled root to take a nap. With each sip, and each deep breath, you're connecting to a cycle that is older than we can possibly fathom. The darkest of days can be lit by the brightness in each cup. And that, to me (and you? ), is a comforting thought to take into my wintery slumber. In a saucepan, heat up the black tea. Add the dried fruit, and half of the chopped conifers. Simmer on the stove until most of the tea is absorbed, and the fruit is nice and plump (about 1 hour). Remove from the heat, strain the raisins, and set aside the tea. In a bowl, beat the butter, then add the sugar, then the egg, plus about 1/4 cup of the remaining cooking liquid. Stir in the raisins, then add the rest of the chopped conifers, the baking powder, salt and cinnamon. Then add the flour. It should be quite a thick batter. Pour into a greased loaf pan, and bake for 1 1/4 hours, until a knife inserted comes out clean. While the loaf is cooling, prepare the drizzle. Mix the ingredients together in a saucepan, and heat until the sugar is melted. Remove from heat, and allow to cool for a few minutes, then, using a spoon, drizzle it over the cake. Can be served slightly warm, in slices, with a pat of butter. Can also be wrapped up and taken on long winter walks, to be eaten under a tree. For a week we experimented with keeping the heating on all the time. It was nearing 40 degrees in Los Angeles and living in Southern California for any length of time does something to your temperature tolerance. That is, it destroys it. But having the heating on all the time didn't work. Not one bit. We'd both wake up every morning with dry skin and sore throats and stuffy noses. So after that week, we went back to putting it on for a few hours in the morning. While the rest of the world is still asleep, I'll wake up, and shiver my way downstairs to throw the heating on then run back upstairs and jump under the covers until the house is a little warmer. When it's an acceptable temperature I'll resume my morning activities which include hot drinks, fluffy blankets and cold doorsteps. At times like these, spices comes in really handy. Because having something bubbling away on the stove sending the scent of cinnamon and spice and sweetness into the air is a really nice way to warm up a space without getting dried out. Not only that, but it makes it feel like winter when it's sunny outside and doesn't look like winter at all. And in the evenings lately, I've been making a quick-nog. Admittedly, until about a week ago, I'd never had eggnog before. I didn't know until a few days later that most people drink it cold. I can't fathom the idea of drinking something creamy and iced when it's so cold outside, so I carried on making mine warm. Eggnog, my friends, is my new favourite thing. Between the creaminess and the spices and that dash of rum, it feels like sipping on a thick milky delicious cloud. I said 'dash' of rum, because my alcohol tolerance is like that of a child, and I don't like being drunk, I just like the taste of it. The first night I added what was more like a glug, and I woke up with a headache the next morning. Now, I remind myself that it might LOOK like a warm milkshake but it is an alcoholic drink and that if I keep drinking them with a glug every night people might start getting worried, especially if I end up on Facebook telling everyone how much I love them (this happens, pretty much every time). One more thing. It's very nutritious. If this information will ruin it for you, stop reading here and just go make it (or wait till 5pm and make it?). But between the milk and cream, the egg yolks and the spices, you've got yourself a nutritional powerhouse, made from superfoods that you don't need to import from Brazil or a small Pacific Island. Considering how worn out, stressed and exhausted most of us are at this time of year, I'd even go so far as to say that it's medicinal :). So go and take your medicine please, and then get on Facebook and tell me how much you love it. Serves 1. Multiply quantities for more. Warm the milk and cream on the stove. Don't bring it to a boil or anything, just very hot. Remove from the stove, add the spices, the sugar and the booze. With a whisk, whipping it steadily, add the egg yolk, then put it back on low heat until it thickens just a tiny bit. Serve in a big mug with a fluffy blanket and maybe even an elf hat. Throw the lot together in a jar of some kind. Leave it for 2-5 days, shaking when you remember. Strain. Easy peasy!!! I remember when I was young, a friend asked me if I'd rather live somewhere that was too hot, or too cold. I thought about it long and hard, and finally decided "Too cold." "Why," she asked me (we lived in Scotland-- nobody in their right mind would choose cold over hot). "Because you can always add more clothes, but you can't take off your skin without extreme pain." I kinda had a point; I still feel the same way over 20 years later. I don't like being cold. My joints stiffen up, my body starts shivering uncontrollably, and I just don't really want to move very much. I'd give a small toe in exchange for a fireplace in the winter. And I live in Southern California. Luckily, there are things that can help keep the body warm even if you think your bones are going to freeze and shatter. Ginger: ginger is fantastic. It warms the stomach, calms digestion, and really gets the digestive fire going. It also stimulates circulation, and helps to keep you warm in the winter. Use it in teas, in food, or make a herbal oil with it, and massage it into frozen limbs in front of the fireplace. If you have one. Chop ginger into your bath water, along with a few cloves. Add powdered ginger to your pumpkin spiced chai. There are many things that you can do with this wonderful medicinal herb to benefit from it during the cold months. Cayenne: circulatory stimulant galore. Put some cayenne in a tub of water and soak your feet. Your feet will absorb the cayenne, and your body will be warm within minutes. It relieves pain, moves energy and stimulates your body to start heating from the inside. Put cayenne in your food, or in your hot drinks. Make your own tincture, or make a herbal oil to rub into your feet. Keep in mind that a little goes a long way! I accidentally put too much cayenne tincture in a friend's formula, and I think her tongue just about exploded (lucky it was a friend!). Cardamom: cardamom is such a wonderful tummy warmer and digestive aid. It is also fantastic at removing dampness from the body. Dampness manifests as bogginess-- heavy limbs, cloudy thoughts, low energy, feeling kinda blah. Look at your tongue-- is it swollen and greasy looking? Is it cold and wet outside? Add cardamom to your morning coffee-- the combined effects of the coffee (which drains damp) and cardamom (which drains damp) really help to move that bogginess. Clove: a wonderful carminative herb that also helps with dampness and digestion. Throw some in your bath, or a pinch of clove in your tea. Have some spiced wine after dinner. 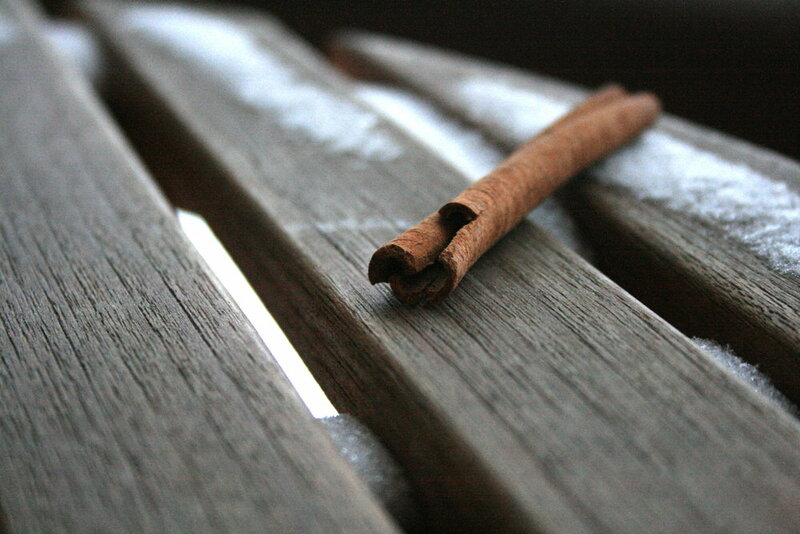 Cinnamon: is it a coincidence that cinnamon is used in so many winter desserts? I think not! Cinnamon is a fantastic nourisher. It warms the digestive centre, nourishes the fluids in the body, and helps to drain dampness. Garlic: Garlic is considered to be a hot herb. We have it on hand at all times, just because we love the taste of it so much, but during flu season, and during the winter, it's even more valuable because it is so lovely and hot! When we are starting to come down with something, we often have a dinner of chicken broth with raw garlic on toast. Of course, nobody will come near you for days, but it's worth it to be cold-free! Chicken soup: Though not technically a 'herb', chicken soup is one of my favourite warming remedies. One of the reasons that it works so well for colds and flus is that it's diaphoretic-- it heats the body from the centre, which causes you to sweat. Orange peel: Moves stagnant energy, gently heating, drains damp. Interested in how to incorporate some of these herbs into foods? Butter, at Hunger and Thirst, has written about a delicious warming broth.